NeNe Leakes is an American reality TV personality, actress, and fashion designer. Check out this biography to know about her birthday, childhood, family life, achievements and fun facts about her. Linnethia Monique Johnson, better known as NeNe Leakes, is an American reality television personality, actress, author, producer, and fashion designer. She is recognized for featuring in the reality TV series ‘The Real Housewives of Atlanta’ as well as for playing the recurring role of Roz Washington in Fox’s sitcom ‘Glee’. She has also appeared as a series regular in NBC’s ‘The New Normal’. The multitalented actress has also acted on the stage. In addition to her acting projects, she owns a clothing line and sells her products on the Home Shopping Network. She was interested in a career in the show business from an early age. She attended Clarke Central High School and later went to Morris Brown College before venturing into an acting career. She has also worked as an exotic dancer in the past. After enjoying considerable success as an actress and reality TV star, she set her ambitions higher and founded NeNe Leakes Entertainment, a TV production company. NeNe Leakes was part of a few scenes in the 2003 movie ‘The Fighting Temptations’. However, all her scenes were cut out from the final version of the movie. The following year, Leakes had a minor role in an episode of ‘The Parkers’. In 2008, she joined the main cast of the reality TV show ‘The Real Housewives of Atlanta’. This series earned her much popularity. In 2011, she appeared in ten episodes of the reality game show ‘The Celebrity Apprentice 4’. The following year, Leakes was cast as Roz Washington in the musical drama ‘Glee’. That year, she also got the opportunity to play Rocky Rhoades in the sitcom ‘The New Normal’. 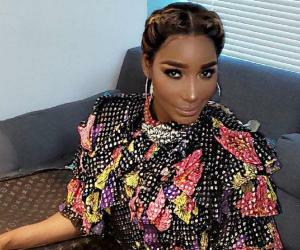 In 2013, she appeared in the reality documentary series ‘I Dream of NeNe: The Wedding,’ which documented the details of her re-marriage to her ex-spouse, Gregg Leakes. She then co-hosted the television series ‘Fashion Police’. 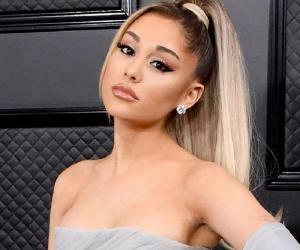 In 2014, she participated in the dance competition show, ‘Dancing with the Stars,’ and was eventually eliminated in Week 7, finishing in the 7th place. That year, Leakes also made her Broadway debut in ‘Rodgers & Hammerstein's Cinderella,’ in which she played the role of Madame. In 2015, she appeared in The Ambassador Theatre’s ‘Chicago’ and also co-hosted ‘New Year's Eve with Carson Daly’. The actress was also featured in Tamar Braxton’s music video of "If I Don't Have You". She joined as a panelist on ‘To Tell the Truth,’ a game show, in 2016. Leakes competed in an episode of ‘MasterChef Celebrity Showdown’ along with her husband in 2017. In 2018, she had a minor role in the sports-comedy flick ‘Uncle Drew’. On July 28, 2014, NeNe Leakes launched her clothing line Nene Leakes Collection for Home Shopping Network (HSN). In April 2016, Leakes embarked on the one-woman comedy tour "So Nasty, So Rude”. The tour, which proved to be a successful one with many sold-out shows, continued till the end of the year. NeNe Leakes was born on December 13, 1967 in Queens, New York City, New York, USA. She has four siblings. She was raised in her aunt’s house alongside one brother while her other three siblings were raised by her mother. After studying at Clarke Central High School in Athens, USA, Leakes went on to attend Morris Brown College in Atlanta for two years. Coming to her love life, she married Gregg Leakes in 1997 after dating him for several years. In 2010, she filed for divorce, which was finalized in September 2011. However, after two years, the couple reunited and got engaged in early 2013. They remarried on June 22, 2013 and their wedding ceremony was filmed as part of the documentary series ‘I Dream of NeNe: The Wedding.’ Currently, Leakes resides in in Duluth, Georgia with her husband. The couple has two sons, Brentt and Bryson. They also have a granddaughter named Bri'Asia Bryant. 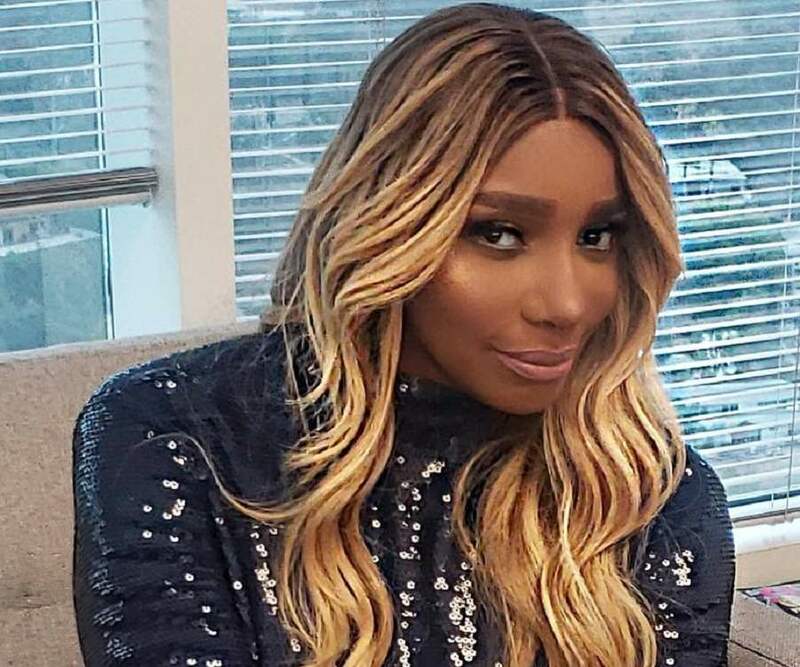 In November 2018, NeNe Leakes revealed that her husband Gregg was battling stage 3 colon cancer. He had first experienced the symptoms in May after which he had to undergo emergency surgery to have a part of his colon removed. The surgery was successful.